This post is brought to you by Royal Canin as part of the #WhatsYourPetsLifestyle campaign. Can feeding your city dog a food like Royal Canin URBAN LIFE Dog Food make a difference in his stress levels and overall health? Today, we’re going to find out! You may not know this, but your city dog has different nutritional needs than his country counterpart. Think about it: like you, he leads a very different life than his farm dog cousin. Chances are, he lives in an apartment or townhouse without free run of a big back yard. He walks through busy, loud streets on his leash on your schedule. He’s exposed to a constant barrage of lights, sounds and people. If all of that stresses you out, imagine what it does to your pooch. Then there’s the pollution. Oh, the pollution! All the clean air acts in the world can’t completely eradicate the problem of air pollution. Your city dog is exposed to more car fumes, factory pollutants and other nasties in the air than his farming cousins. To make matters worse, he can smell them so much better than we can. So while we just have this vague idea of the impact of pollution on our health, poor Fido KNOWS it’s there and he can’t do anything about it. 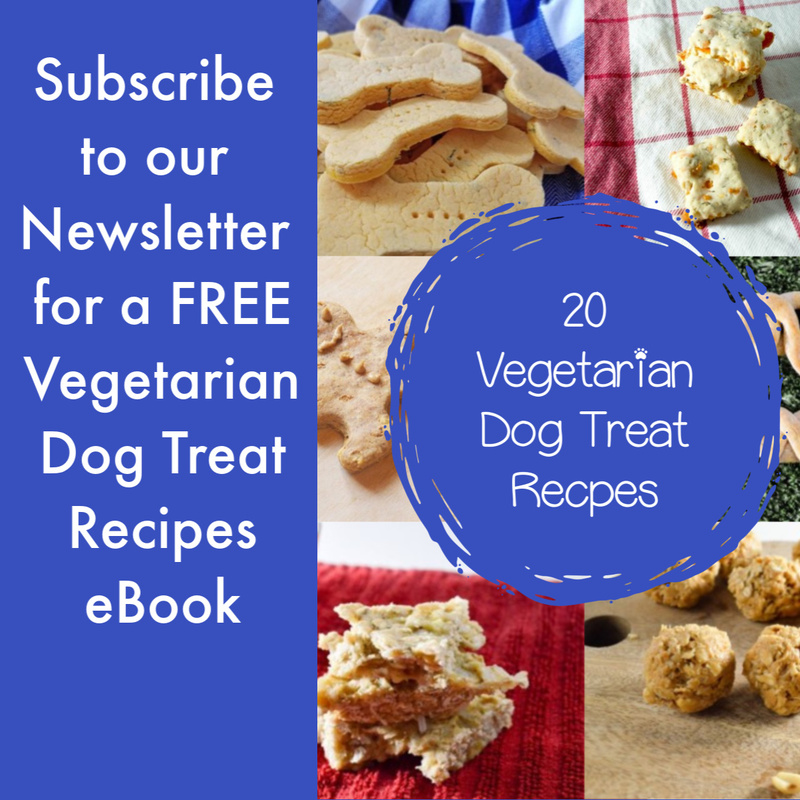 While nutrition alone can’t completely alter the personality of a nervous city dog, it can help in many ways. 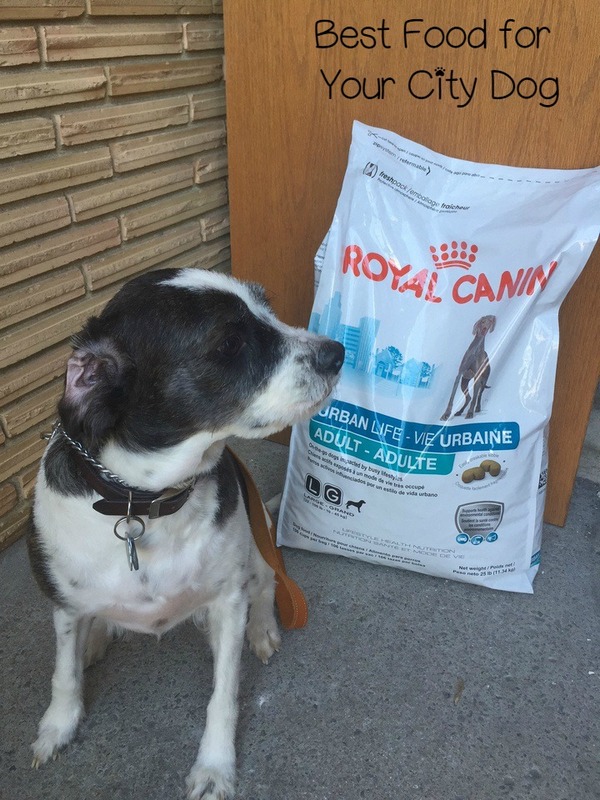 Our canine pal, Cannoli and his companion took the Royal Canin URBAN LIFE Dog Food challenge to see how the right food for city dogs can make a difference. Let’s see how it went! 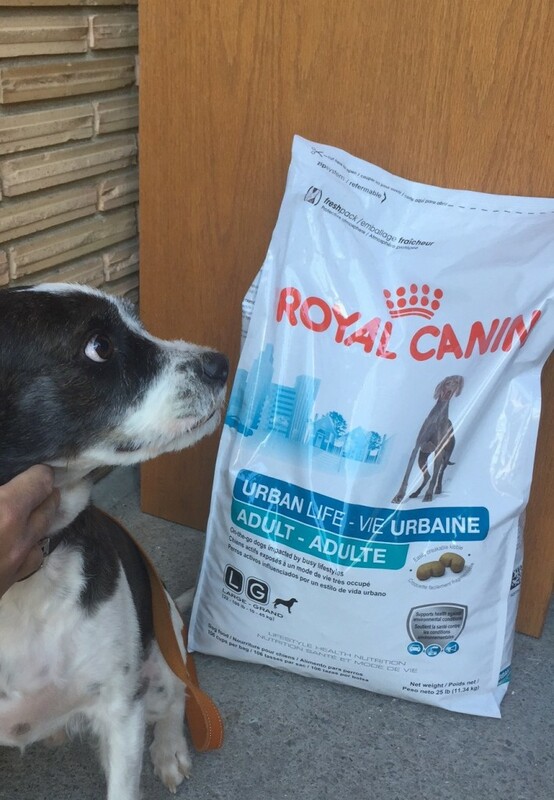 What is Royal Canin URBAN LIFE Dog Food? 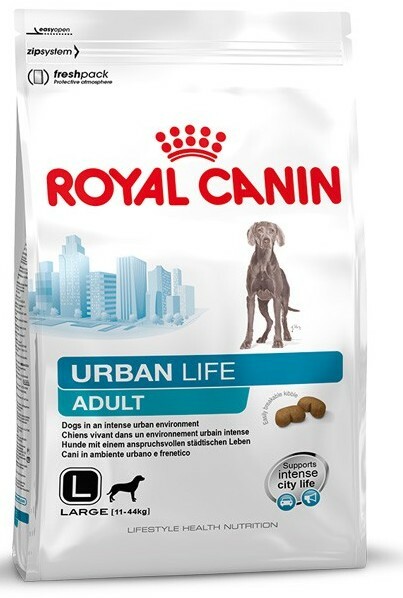 Royal Canin URBAN LIFE Dog Food is specially designed for your city dog’s lifestyle. It’s the first line of dog food that’s specially formulated based on where your dog lives. Urban Life isn’t JUST for dogs who live in big cities. It’s designed for dogs in smaller cities, suburbs and other high-traffic areas. URBAN LIFE dog food is higher in anti-oxidants and OMEGA-3 fatty acids (which act as anti-inflammatory agents in the body) to help provide more support against pollution. It also contains something called an Advanced Adaptogen, which will help your dog naturally adapt to a highly stimulating environment- like a city filled with lights and sounds- and can ease his anxiety. Royal Canin’s own study showed noticebable improvements in urban dogs within one month when fed URBAN LIFE. Cannoli is a medium-sized 7-year-old Spaniel Mix, a handsome fellow indeed! Prior to taking the challenge, he was already a pretty laid-back pooch. Well-behaved and pretty good when meeting new people and other dogs. His biggest source of stress came from loud, unexpected noises. When confronted with those things, he barked and cowered. For the challenge, Cannoli transitioned from his regular Royal Canin food to the URBAN LIFE food while his pet parent watched for signs of change. Canolli really enjoyed the taste of the food, so we were off to a good start. Even though the food is easy to break into smaller pieces, Cannoli had no problems eating it whole. I was curious to know if it was a stinky food. I’ve fed my own dogs some really odorific foods in the past and let me say, it’s not exactly pleasant first thing in the morning. URBAN LIFE has an aroma that is pleasing to dogs and has a milder scent than the other Royal Canin adult varieties Cannoli has used. While Cannoli hasn’t shown major changes yet, his stool does seem a bit smaller. It’s still early, though. It’s also important to note that many of the changes to your city dog happen on the inside and aren’t visible. Plus, as noted, Cannoli was already a pretty balanced pooch. What changes can you expect to see with Royal Canin URBAN Life? Better stool quality. When you have a city dog, chances are you’re picking up a lot of poop! Expect to see that waste become smaller, better formed and easier to scoop! Adaptability: Your dog will likely display signs of overall better behavior, whether it’s a decrease in stress symptoms or just a more laid-back attitude towards sudden changes in his environment. Of course, if you already have a pretty relaxed dog, this change may not be obvious. Reactivity: Better reactions to stressors. For example, not going completely bonkers when a car horn honks outside your window or when sirens pass by. Invisible changes: Okay, so you won’t SEE these, but beneath the surface, your dog will be building up antioxidants to protect against pollution and other urban life toxins. What are your city dog’s biggest stressors? What changes would you want to see most in his (or her) behavior? Share in the comments!